Whether it’s a leaky chimney, skylight, vent or stack, fixing a simple leak can be a major repair. 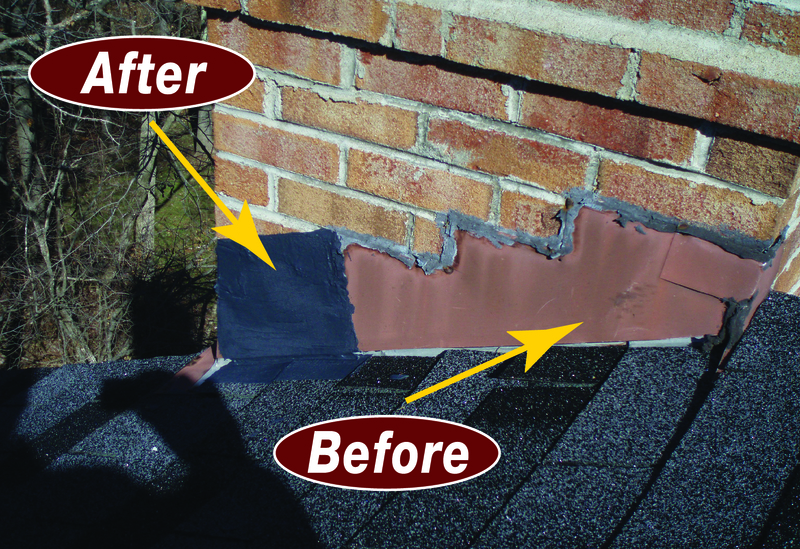 A contractor will usually tear off the shingles surrounding the problem area and re-flash the entire area. This can quickly become a very costly repair. Other contractors will simply try to use caulk to solve the leak problem. This attempt at a quick fix can also become a costly situation. More often than not, simple caulking will not solve the problem. This leads to the possibility of a continuing leak that can cause damage to the interior of your home. It also means repeat contractor visits which always means more money leaving your pocket. 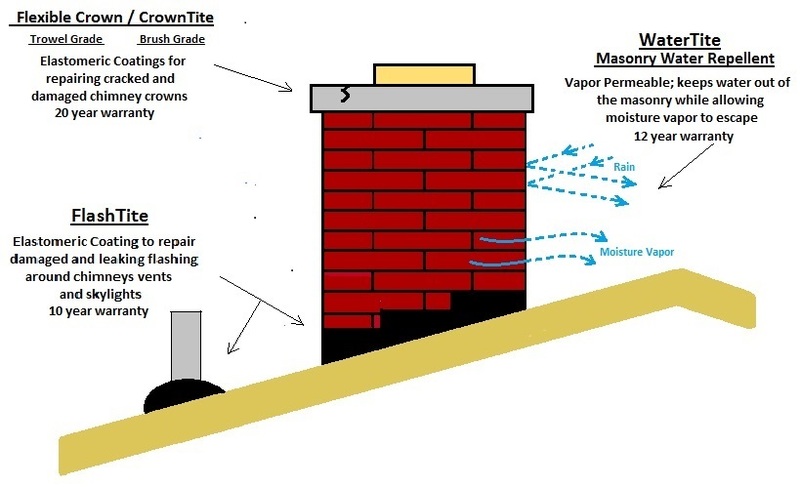 There are generally two types of products on the market to protect your masonry surfaces. Understanding the differences is very important. Film forming sealers and penetrating repellents have many differences you should be aware of before sealing any surface. 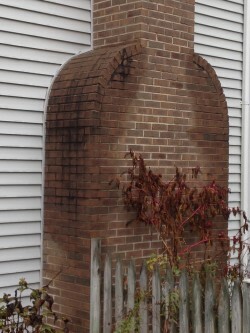 Whether you are water sealing brick, block, concrete, stone or slate, choosing the right product is the key to success.